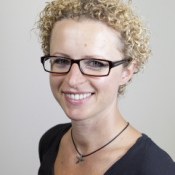 Magdalena Mis joined Thomson Reuters Foundation in 2011 and currently works as a production editor. Wastewater from households, industries and agriculture should not be seen as a problem but a valuable resource. Es un ave... Es un avión... ¡Es un dron comestible de ayuda humanitaria! El prototipo de esta clase de dron —denominado Pouncer— está hecho de madera, pero los diseñadores planean usar materiales comestibles en la próxima versión. Edible drones filled with food, water or medicine could soon become indispensable in humanitarian emergencies. As UNICEF flags the risks faced by children in four countries, a look back at famines over the last 100 years. Inteventions costing as little as $1.72 per person could prevent thousands of deaths from breast and cervical cancer in developing countries. Tech companies and the refugee crisis: what are they doing to help? A number of tech companies are offering their business strengths to support refugees and disaster victims. Climate change could cause significant changes to global diets, leading to more than half a million extra deaths in 2050. Do men want gender equality more than women? A recent survey suggests that more men support gender equality than women, writes Magdalena Mis. How do we cut child death rates? How do we keep girls in school? Why are child marriages on the rise?